The Department of Parking and Transportation Services (PTS) at Tech has been awarded a grant for almost $40,000 by the Georgia Environmental Finance Authority for the installation of additional electric vehicle chargers. There will be another 9 dual port Level 2 chargers installed at visitor-accessible locations and, as per the clause of the grant, be open for public use. This is in response to an ever rising demand for charging points from drivers of an approximated 150 electric vehicle (EV) cars on campus. Lisa Safstrom, Campus Transportation Planner for PTS, who solely handled the proposal for the grant, says that an attempt will be made to ensure that all charging points are located at popular locations such as the Student Center, North Deck and the Bobby Dodd Stadium. Currently, PTS has 2 dual port level 2 chargers and a few level 1 chargers. A level 2 charger works faster than a level 1 charger and hence, requires more electricity. One of the largest costs for the institute is the installation of these chargers. 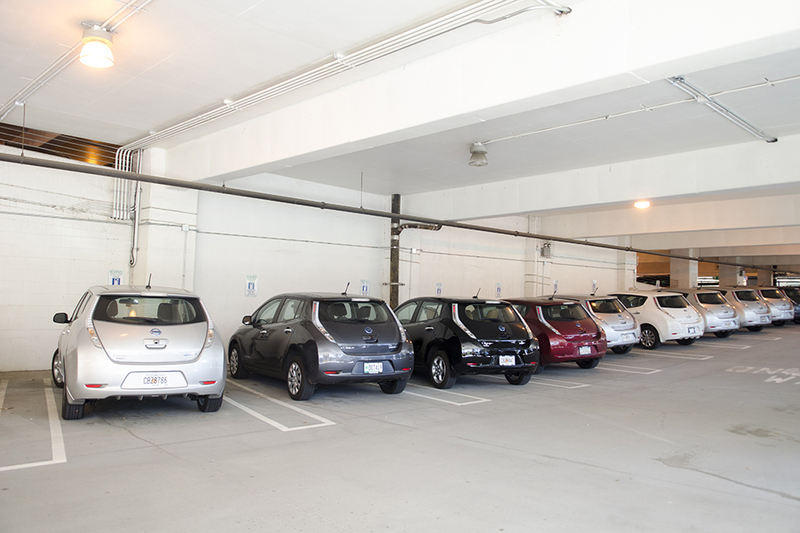 One of the challenges for Safstrom has been estimating the number of EVs on campus. The registration on the parking website, DriveSeat, only recently added the option for such cars. The EV charges are installed in collaboration with ChargePoint, a company which owns nearly 20,000 charging stations across the country. With their platforms, users can get real time data such as seeing which charging points are empty and how much charging time is required for their car. Users can also get a text alert when their car is charged. explained that owning an electric car is extremely lucrative in Atlanta. addition to the maximum allowed federal of $7,500.